Flexible sensors not only play an important role in electronics, but also adapt to the contours of the human body. They also record brain waves more finely than ever before. The first in-vivo experiments have yielded unexpected results. In the tracking of brain waves, since the invention of electroencephalography not much has changed. 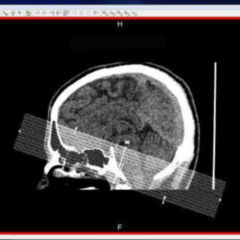 If electrodes are distributed over the head, a crude picture is recorded. Whoever goes looking for something finer finds that there is otherwise little alternative other than to go under the skull and detect electrical activity there with thin needles. 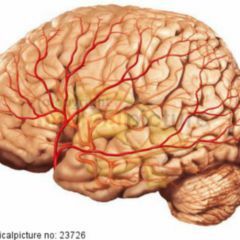 If one wishes however to cover 1 cm2 of the surface with one electrode, there is the activity of some twelve million nerve cells to be measured there. Only if the distance of the signals between the measure points is less than one millimetre can sharp images of the brain be derived – capturing space and time, as the subject for instance speaks, gives commands to the muscles. He or she may happens to be epileptic, and the images record the source of electrical discharges. The new development is a flexible mat of a few square centimeters in size, on which hundreds of flexible microelectrodes are seated together with their corresponding circuits. The implantable monitoring station emerged as a collaboration between neurologists and electrical engineers from the University of Illinois, who did not want to deal with rigid thick boards any longer. The extremely thin membrane of about 0.3 millimetre thickness now has the advantage that it conforms to any surface irregularities of tissue. 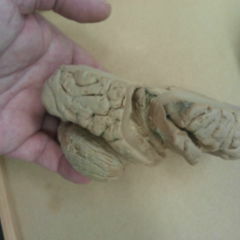 It fits well therefore into fissures and sulci of the cerebral cortex, where it can tap into the current flow. It also eliminates the risk of injury if the electrodes only lie on the surface instead of protruding into the tissue as the needles used until now needed to do. The flexible circuit board on a polyimide base had already before this point passed the earliest medical examinations. Scientists using it recorded the current flow in the heart and other muscles. At the very least, the new technology can at this point be considered as successful in animal brain studies. Placed on the surface of the visual cortex or in the fissure between the two hemispheres, measurements in the cat brain have succeeded which were previously not possible. Sleep spindles, transient waves that occur during sleep, are apparently distributed over the surface of the brain and probably have something to do with the processing and consolidation of memories. 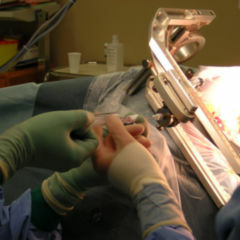 The measurement of this type of activity in animals under anesthesia clearly shows that these outbreaks are, contrary to previous assumptions, confined to a small area and synchronised. Picrotoxin triggers seizures in animals that resemble those of epileptics. What’s more, Brian Litt and his colleagues have also seen something amazing in this induced version: the waves of electrical discharges propagated themselves in a spiral form on the surface of the brain. In-vivo, such a thing had not previously been observed. The fine resolution of the sensors also revealed in this “pseudo epilepsy” that the cause of the seizures is not spread evenly, but emerges from very small spots. The researchers also registered surprise about how similar the pattern of these measurements and those of patients with heart rhythm disturbances were. The device “is not only a tool for researchers, but clearly intended for clinical application”, says developer John Rogers. The sensor mat is likely to make matters noticeably easier for those in the neurosurgeon clinic when attempting to locate affected areas in the brain of epilepsy patients. Perhaps, speculates the team, one could, in the heart as well as in the brain, also stop such unwanted electrical discharge. The implant would then send appropriate counter-rotating waves into the tissues in order to wipe out the eruptions. The next generation of devices therefore should not only record potential changes, but also induce them. Perhaps – such is the more distant vision in the future – problems with perception could be traced within the brain and and then be similarly corrected, using electronically controlled power surges. However, Rogers and Litt are not the only ones developing flexible circuit boards with ultra-high resolution for use in neurology. Very recently the Jülich Research Center announced the start of the European project Neuro Care. The partners involved here are focusing on the material carbon. It can be produced economically and is biologically inert. “Fewer problems with biofouling occur on the bio-interfaces – that is to say, contamination” Andreas Offenhäusser from FZ Jülich says about the material properties. According to the project plan, over the next three years prototypes for electronic implants in the eye, ear and brain should emerge. In about ten years, the patient could then also benefit from them.